Soaptheory - Magical Bath Experiences Begin Here. 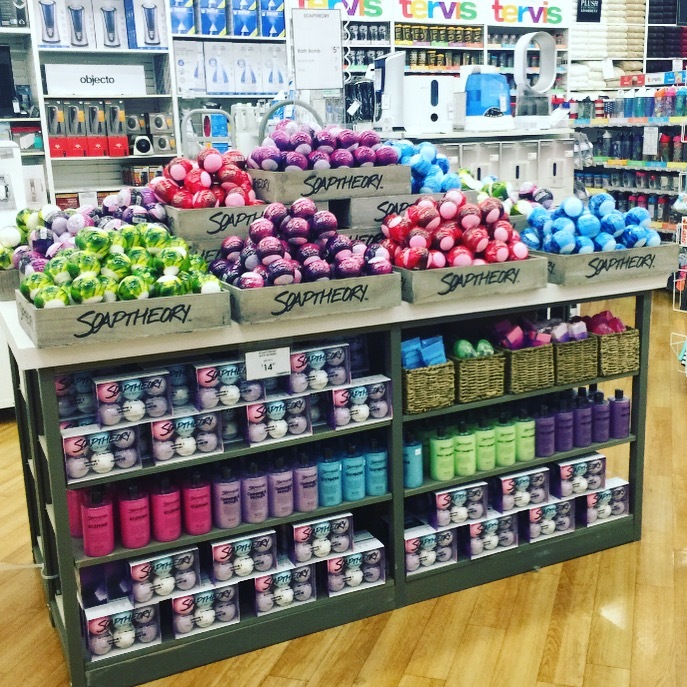 Playing on vibes of Apothecary, Personality Profiling and Magic, Soaptheory's products capture the magic of the bath. Bath Bombs are the new necessity. They pamper the skin, transform the experience and nurture the personality of people. At Soaptheory, we're committed to exploring a new bath esthetic that emulates our core philosophy of storytelling through design. Our products stand out in the crowded market of cupcakes and ice cream. We wanted more for the bath water and we think you do too. We love to explore ourselves. It's part of a fresh, shared experience. It's the way we get social with "me." 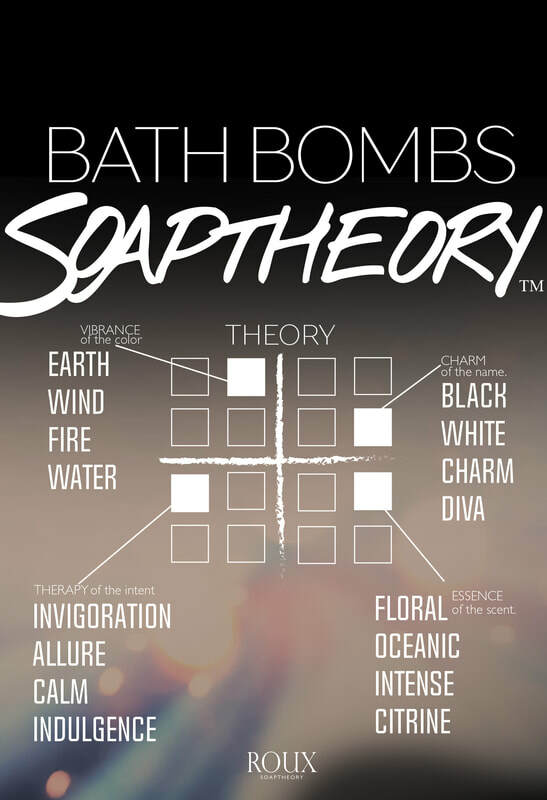 The Soaptheory grid captures four, key elementals that help describe our bath products' personalities. These personalities reflect on you, your mood, emotions and style. Built as a quadrant-grid, the theory of our products resounds color, name, allure and scent. Together these elementals form a magic. Enchant yourself one ingredient at a time. Color is a powerful visual element. It beckons us subliminally. Choose from warm tones, like red and orange, to capture the esthetic FIRE, pick subdued tones for EARTH, choose muted colors as AIR, or drop vicious blues, indigoes and violets for the soaperience of WATER. What's in a name? We got tired of the word bomb and bath fizzy. Release the esthetics of WHITE, BLACK, CHARM or DIVA and be unique. Choose a name that resonates beyond mediocrity. Soaptheory #TonicBathMagic with CHARM you. Our #SerumSuds will subdue you, #AlivenerBomb will pump up your DIVA, and #WaterCure will heal your bore. Not therapy, allure. Bath Bombs don't transform the soul, but a person can. Thoughts determine mood. What are you seeking? With the allure of OCEAN, INVIGORTAION or CALM you can set your mind to making the best of your relaxation routine. Or you can choose ALLURE itself and see where the possibilities might lead. Literally, the scent. Our noses can instigate memory and generate thought. Tonal FLORALS, OCEANICS, CITRINES will capture your olfactor. Visit INTENSE for more than you expect.